At Red Candy, we believe that cute, fun and simple is the sure fire way to bring your joy in the home. With that being said we bring you our wonderful range of all singing, all dancing Animal Footstools! Whether you’re looking for a best friend for your youngest, or just want an unusual piece of decor for the living room, these animal-inspired stools are a great fit. Cathy the Cow is the cute little dairy cow that can keep you company indoors! with a spotty design and cute little horns, she’s sure to look great in your home! Sheldon the Sheep Footstool Don’t get sheepish! Sheldon the Sheep Footstool is made of super soft material and is super cosy! huggle and lovable, this animal footstool is great company on a winters day! Ole! 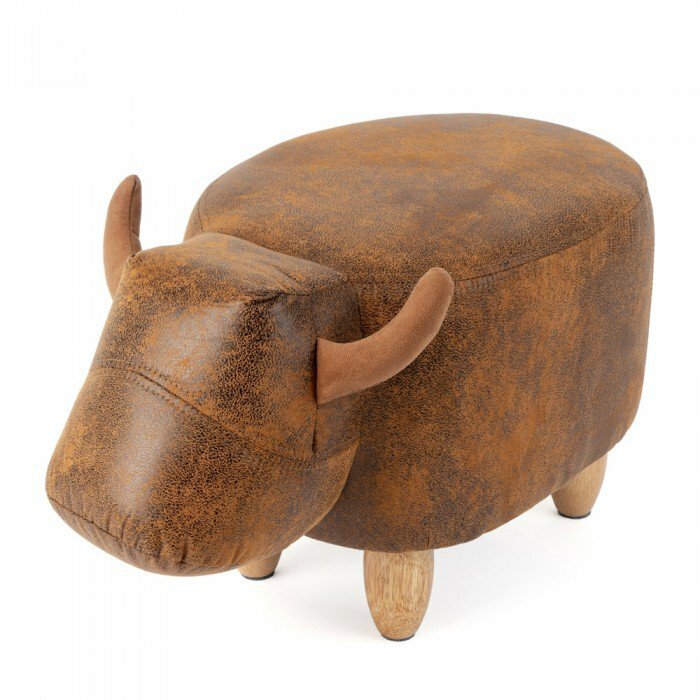 Ferninand the Footstool is the brown bull that will actually keep away from your china! This animal footstool is a lover, not a fighter! Elton the Elephant Footstool Last but not least is Elton, Red Candy’s very own resident elephant! Elton the Elephant footstool is adorable little creature that would be right at home in your living room!